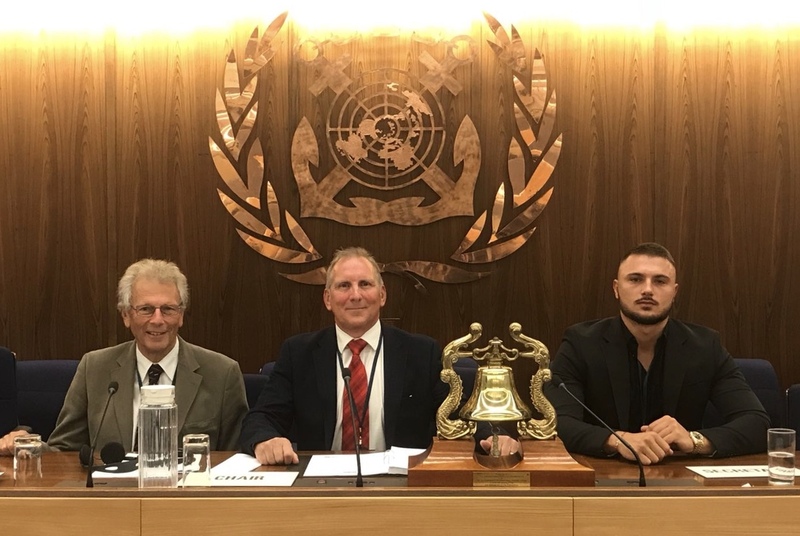 It was excellent to have the opportunity this week to make a presentation at the International Maritime Organisation, the specialist agency of the United Nations, responsible for the regulation of shipping. 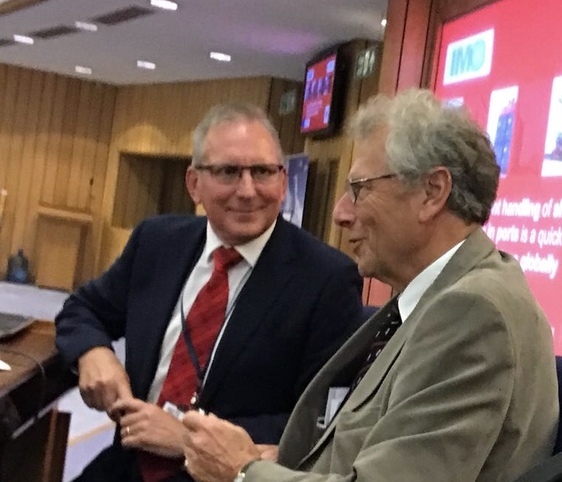 The opportunity was facilitated by The International Cargo Handling Co-ordination Association (ICHCA) which has been extremely supportive and has already publicised the activities of the Coventry University and BLOK Container Systems research team. The presentation was the culmination of a three month BLOK Container Systems research project in association with Coventry University, looking at how initiatives to handle shipping containers in ports more quickly and efficiently can make a major contribution to reducing emissions globally. The direction of travel is clear with the IMO setting a target of cutting CO2 emissions by 50 per cent by 2050 and a challenging sulphur cap of 0.5 per cent (down from the current figure of 3.5%) being introduced from 2020. The research has highlighted that shipping should not be viewed in isolation from the ports because if delays can be reduced and the time saved is re-purposed for slow sailing, the savings can be immense. Figures from the European Commission show that speed reduction offers by far the biggest CO2 saving compared with other on-ship measures (17 – 34%) and research from Platts has highlighted the huge cost of meeting the 0.5% Sulphur Cap through Marine Gas Oil (MGO) and Liquid Natural Gas (LNG) alone, in the region of $52.6 billion. Everyone is a beneficiary if we can save time in ports: the environment through reduced emissions, shipping through increased efficiency and humanity through reducing pollution related diseases and deaths. The essential thesis is that there are increasing delays at many ports exacerbated by the trend for bigger ships. In the face of this challenge there only two options to speed up the loading and unloading of containers: more cranes or increasing use of multi-lifting containers. BLOK Container Systems is dedicated to removing obstacles to multiple lifting generally (which is the direction of travel for the container handling industry) and has introduced a new system for empties (24% of containers handled) which will be much more efficient than any system currently available. Further innovations from BLOK Container Systems address the issues of moving containers on the quayside (double width trailers and adapters), more efficient automatic twistlock removal and a testing and certification system for guaranteeing the strength of tandem lifting containers and lift locks. The research presentation was welcomed by the substantial IMO audience and there were many requests for supplementary information. A white paper will soon be available on the BLOK Container Systems website and trials of equipment will be taking place in London later this year.